Just as the optimism of the new baseball season begins to flourish every February, as pitchers and catchers report and fans start to get excited for the newseason, some teams and players get to experience one of the more unpleasant realities of the modern baseball game; Arbitration hearings. The 2013 “arbitration season” was the first since 1974 that didn’t feature a single case of player versus club, perhaps a sign that teams are finally understanding just how damaging these cases can be. Players are forced to sit and listen to their clubs argue just how mediocore or awful they are just to save (in some cases) a few hundred thousand dollars. The teams use whatever statistical slant they need to prove or disprove their points, depend heavily on out-dated/old school stats (Wins, Saves, RBI) to make their cases, and generally speaking do their best to save a buck. I read an example of a catcher who was in the top 10 in the league in batting and mentioned that as a stat in his favor, only to watch the team pull out a COMPLETE list of catchers (including guys who had like 10 at-bats) and show that the player wasn’t even in the top HALF of hitting for catchers. And the team representative stated it with a straight face. Meanwhile, these same teams generally have no issues signing veteran guys to multi-million dollar salaries to serve as middle relievers, backup outfields or 5th starters. It seems like a completely demoralizing process and I’m surprised teams even come close to arguing with their players any longer. However, as it stands now there’s a whole slew of potential cases out there where players and clubs couldn’t come to an agreement ahead of the Jan 17th 2014 deadline. 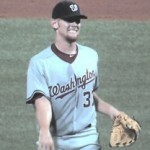 None more important than the Nats two open cases with Tyler Clippard and newly acquired Doug Fister. Thanks to Maury Brown of the bizofbaseball.com blog, who keeps fantastic notes on Arbitration case results over the years for the core of the data that I used to make this post. 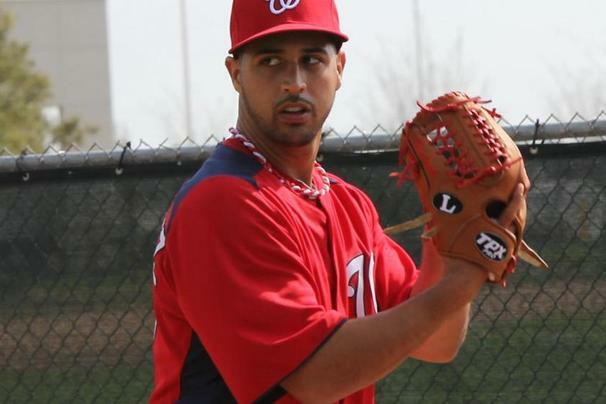 This link shows all the argued cases from 2005 to 2012 and this link shows the settled cases to 2011 (needs updating; mlbtraderumors also keeps similar information that is up-to-date for 2012, 2013 and 2014). Commenter Luke S. asked whether there was a relationship between teams who took their players to arguments and eventual retention. I thought that was a fascinating question, so I did some digging. Borrowing from Brown’s aforementioned links and then adding in some “player disposition” information, I’ve created an XLS (uploaded to Google Docs here and added to the NAR creation links to the right) that tracks all arbitration cases going back to 2005 with the disposition results. I’ve cut and pasted the core of the data here (leaving out the salaries and the description of what happened to the player). Year Team Player Delta Winner Still with club? Depart club THAT year? Clubs are 28/45 (62%), players are 17/45 (38%) in the last nine years of cases. Per Brown’s overall stats, Clubs hold a 291-214 lead in these cases historically, a 57% success rate, meaning the clubs are getting better at these hearings over the past decade or so. Washington is the leading “arguing” club with 8 of 45 cases since 2005. This is not a category with which we want to be a leader. I attribute a lot of these cases to an antagonistic former GM (Jim Bowden) who had no issues going to war over relatively small amounts, coupled with a new owner who had a very bad reputation for penny pinching in the early years of his tenure. That doesn’t absolve Mike Rizzo though; he’s already had 3 cases argued in his four seasons of management. 42% of all cases since 2005 by just 3 clubs (Washington, Miami and Tampa). The two Florida clubs are both notorious for squeezing money, albeit for different alleged reasons. Miami because their owner is well established as being in the game for the money, and Tampa because they’ve long since established the revenue issues their stadium situation places on the franchise. 12 of 30 clubs in the game have not had an arb argument/case dating to 2005. To me, this means 12 of the 30 clubs have figured out that $200,000 isn’t worth destroying a player’s ego. Smallest amount argued over: $125k by Miami in 2007 and $150K by Wash in 2010 w/ Sean Burnett. Again, no real surprise here that Miami went to arguments over $125k. Biggest player demand: Francisco Rodriguez $12,500,000 (player lost). Biggest club offer ($10M twice; both club wins). 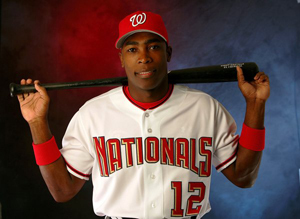 One of these was Washington’s Alfonso Soriano case in 2006. So, based on these numbers, lets think about the two cases Washington may have pending. 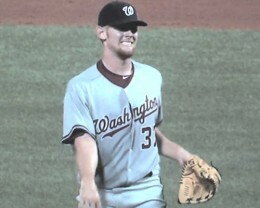 The amount delta with Washington’s two 2014 cases is $3M with Fister and $1.9M with Clippard. So for comparison purposes, the $3M delta with Fister would tie the largest ever delta argued before the court. The $1.9M delta with Clippard is large as well, in the top 5 deltas ever taken to arbitration. Clearly, the team and these players have some serious work to do. Clippard is seemingly in more jeopardy of losing an arbitration case, thanks to his “demotion” and sudden lack of save opportunities. The fact that he is easily argued as our best reliever and has some of the best BAA/BABIP stats in the league is meaningless; no saves means less money in front of the panel. And what a welcome to the organization it would be for Fister to arrive and before throwing a pitch in anger having to hear how crummy a pitcher he is. I feel its vital to clear these cases up, extend the guys, do whatever you have to do in order to avoid the arbitration hearing. 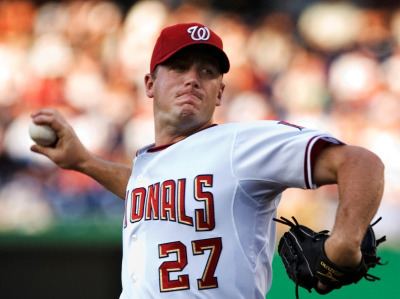 Just 2 of 45 players who have argued arb cases remain with their teams to this day; Jered Weaver and Ryan Howard. That seems like an awfully small number until you consider the nature of player movement in the game. The fact of the matter is this; players are constantly on the move in baseball, especially once they hit arbitration age where their salaries quickly overshadow their value. Teams have no issues employing pre-arb guys who are replacement level players. But once their salaries start jumping up and you have ready made replacements in AAA who cost 1/3rd or 1/4th as much as a 2nd or 3rd year arbitration player, it becomes pretty easy to trade, non-tender or DFA the near replacement level guy. So while it seems natural to think that players who argue with their teams are more apt to leave … I think perhaps its more common for guys to just end up leaving thanks to the huge churn and burn that exists at the back end of rosters.That being said, I’m sure something could be gleaned by doing this same “disposition analysis” for the 100s of players who settled their arbitration cases without hearings … but that’s just far too large a project for today’s little blog entry. Here is something rather interesting though: 23 of 45 players who argued w/ their clubs were traded or released THAT same season. Including a number of the Nationals argued cases. John Lannan lost his arb case in 2012, was relegated to AAA and was non-tendered. Bruney was released just two months into the 2010 season. Both Shawn Hill and John Patterson were cut in spring training before their salaries could even kick in. Felipe Lopez moped his way into a July release the summer after his hearing. And generally speaking about half of all players who had arguments ended up in new organizations either during or just after the season in which they argued with their teams. Is this a statement about player-club relations? Anyway; just some interesting Arbitration Case stuff for you this cold January friday day. Extend Fister! Sign Clippard! Don’t go to hearings! Are we going to have to go through this every time he stubs his toe?? Strained Oblique is not the same as torn UCL. Photo credit unknown. It didn’t take the holier-than-thou Jon Paul Morosi 10 minutes after Stephen Strasburg‘s early exit on 5/31/13 to post this “I told you so” missive to remind everyone that he thinks the Nationals 2012 Shutdown decision was stupid (oh, and just to make sure everyone knows how smart he was, he also conveniently posted a link to his own opinion posted at the time). Of course, the fact that a “Strained Oblique” isn’t the same thing as an “Ulnar Collateral Ligament” didn’t stop him from his highly hypocritical post. Why hypocritical? Because teams shut down pitchers on innings limits ALL THE TIME. When the Cubs shut down Jeff Samardzija at the end of last season, did anyone bat an eye? No? Why was that? Was it because the Nats were in first place and the Cubs in last? Is that so? Well if you’re going to have a national debate about one guy and not a word about the other solely based on the team’s position in the standings, then something is wrong. Because both decisions were made to protect the player, not advance the team’s best short-term interest. I’m not going to re-hash the whole argument again. It isn’t worth it. Nobody’s going to listen, everyone has their opinion already formed and hardened again and again. The reason the Nats lost the NLCS wasn’t because our bullpen leaked run after run or because our closer coughed up a 2 run lead in the 9th; it was because Mike Rizzo arrogantly shut down Strasburg! Of course! Never mind that Strasburg’s replacement on the roster (Ross Detwiler) gave the team its best post season start. Never mind that the St. Louis Cardinals were a heck of a hitting team and never mind that our offense only really showed up in Game 5 (when, as it turned out, scoring SEVEN runes wasn’t enough to win). Ok, maybe I did just rehash the issue again. But to the point of this post; are we going to have to live with this stupid argument every time Strasburg stubs his toe or has any sort of routine strain or injury for the rest of his frigging career? Pitchers, as a rule of course, get injured. Throwing a baseball at max effort is hard on the body. Guys get injured all the time. Some guys are incredibly durable (think Justin Verlander) and other guys are just not (think about what this franchise went through with John Patterson and Shawn Hill). Just because Strasburg had a minor injury (and by all accounts it seems to be minor at this point) doesn’t mean Rizzo’s 2012 shutdown decision is to blame. Are we going to have this discussion every time? I hope not. 6/3/13 update: found this Tweet from Jon Heyman who acts as the voice of reason, not only shooting down Morosi’s article by pointing out that Oblique/Lat is not the same as Arm, but shouting down Twitter followers who questioned the shutdown. He had a very, very good point about last year’s shutdown; is it worth a 25-yr old’s career for “1 or 2 more starts?” A sage question that few people seemed to be asking, even if it was going to probably be 4-5 more starts. There needs to be more people coming back to the middle on this (as Will Carroll seemed to be doing), saying that we just don’t know if a shutdown helps or not, as opposed to people who vehimently and rudely state that the Nats and Rizzo were so stupid for shutting him down. It just gets old. 6/10/13: A little late to the game but Thom Loverro of the Washington Examiner calls out specifically Morosi and an Atlanta reporter for their “gutless” criticism of the Strasburg shutdown. He makes very good points. – Its ridiculous that it decides home field advantage in the World Series. – Its ridiculous that every team is mandated to have a representative. The NBA all-star game is *actually* an all-star game, and making the team means something. – Selecting middle-relievers so as to have pitchers pitching in their normal spots in a game is faintly ridiculous. Let us not forget, despite the fact that our own 2011 all star representative is the deserving Tyler Clippard, most middle-relievers are in middle-relief by virtue of being failed starters or not having a complete enough repertoire to feature as a starter. 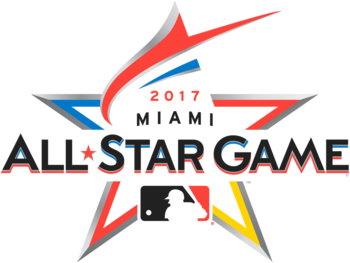 – The home-run derby is a great idea, but the rules need to actually award the best hitter the winner. When you remember the 2010 event not for the winner but for the show that Josh Hamilton put on … he needs to be the winner. – I do love the futures game. I’d love to see an NBA-style rookies-vs-2nd year game as well to introduce/highlight the league’s younger players. – Roster expansion, dozens of pitching changes, and yanking the starters after 3 innings have completely devalued the game itself. Which is a shame, since it has clearly been surpassed in entertainment value by the all-star games of the NHL (which has freely experimented with USA-vs International teams and Captains choice teams) and MLS (which generally brings over a European powerhouse team for an exciting show). That being said, lets review the Nationals all stars by year and talk about their selection, whether they were deserving, and who got snubbed each year. 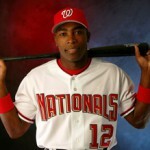 Narrative: Soriano made the team as an elected starter, the only time the Nats have had such an honor. Our pitching staff took massive steps backwards and no starter came even close to meriting a spot. Cordero was good but not lights out as he had been in 2005. Soriano’s 40-40 season is a poster child for “contract year” production and he has failed to come close to such production since. The team was poor and getting worse. Johnson had a career year but got overshadowed by bigger, better first basemen in the league. Narrative: The first of two “hitting rock-bottom” seasons for the team; no one really merited selection. Zimmerman was coming off of hamate-bone surgery in November 2007 and the team was more or less awful across the board. Rauch performed ably after Cordero went down with season-ending (and basically career-ending) shoulder surgery. Guzman’s selection a great example of why one-per-team rules don’t make any sense. Guzman ended up playing far longer than he deserved by virtue of the 15-inning affair. Narrative: While Clippard is (arguably) the Nats best and most important reliever, I think Zimmermann was a more rightful choice. He was 10th in the league in ERA at the time of the selections and has put in a series of dominant performances. Meanwhile Espinosa is on pace for a 28homer season and almost a certain Rookie-of-the-Year award, and perhaps both players are just too young to be known around the league. Lastly Morse is certainly known and he merited a spot in the “last man in” vote sponsored by MLB (though he fared little chance against popular players in this last-man-in voting).